Shia Rights Watch strongly condemns the callous killing of Zakaria al-Jaber in Saudi Arabia and offers its condolences to his family and to humankind in general. On February 6th, 2019, Zakaria al-Jaber, age 6, was beheaded by a taxi driver in Medina, Saudi Arabia after confirmation of his Shia faith. Zakaria traveled with his mother on Sultan Abdel Aziz highway toward the Shrine of Prophet Mohammad. Following his mother’s praise of the Prophet and his family, the driver inquired if she was a member of the Shia faith. Minutes after she responded in confirmation, the car was stopped and Zakaria was ripped from his mother’s arms. The driver then repeatedly stabbed the child in the neck, beheading him using a piece of broken glass as the mother watched. Interventions were not made by nearby witnesses. Despite his mother’s pleadings, no one stepped in to stop the belligerent killing of Zakaria. Details of the incident were confirmed to Shia Rights Watch by the Jaber family. The beheading of Zakaria in public is the result of the ongoing violation of human rights against Shia Muslims by state and local actors in the nation of Saudi Arabia. Saudi Shia live under military seizure in the Kingdoms worst civil infrastructures. Visible association with Shia Islam is deemed a criminal offense and numerous Shia Muslims are on death row for demanding equal rights under the Saudi Law. Shia Rights Watch expresses great concern for not only the family of Zakaria, but also for the safety of Shia communities in the Kingdom. 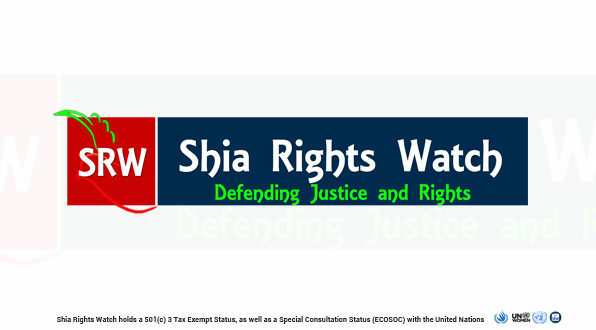 Shia Rights Watch has long advocated for the rights of Shia Muslims in the nation of Saudi Arabia. The time has come for the international community to join together, demanding justice for the brutal murder of Zakaria al-Jaber. Shia Rights Watch, the first outlet to report and monitor this violation, remains committed to investigating violations toward Shia Muslims. The organization calls upon the Saudi government to condemn anti-Shiism and the wrongful targeting of Shia Muslims. Prosecution of anti-Shiism and the establishment of equal rights for Shia Muslims must be officiated in King Mohammad bin Salman’s call for reform. Moreover, an investigative committee must be established by unbiased entities, on national and international platforms, to address the existence of cultural, social and direct violence faced by this population and to enforce justice for the victim of human rights violations in Saudi Arabia.